University of Wayamba Nano Technology Department and Horizon Campus had identified the Self-Limiting Gene to destroy the eggs of Fall Army Worm (FAW) (Spodopterafrugiperda) and they are working together to develop this gene on their own labs to give a permanent solution for this crisis. According to them, this can apply to a large area like 10000 -15000 acres within one day using drones and they have already tested this gene on affected fields in Ukraine as well, and cost of applying this to a one Acre land estimated around 200-300 rupees. Fall army worm is a pest of that destroy more than 80 kinds of plant, including maize, rice, sugarcane and cotton. It is found throughout North, South and Central America, where it has caused significant crop damage for decades. Fall army worm has developed resistance to insecticides in a number of regions, and growers need new solutions to control this pest. According to a Centre for Agriculture and Biosciences International report, FAW has caused an estimated $13.8 billion in losses of maize, sorghum, rice and sugarcane in Africa. Since 2016 fall army worm has been spreading throughout Africa and is now present in at least 28 countries. 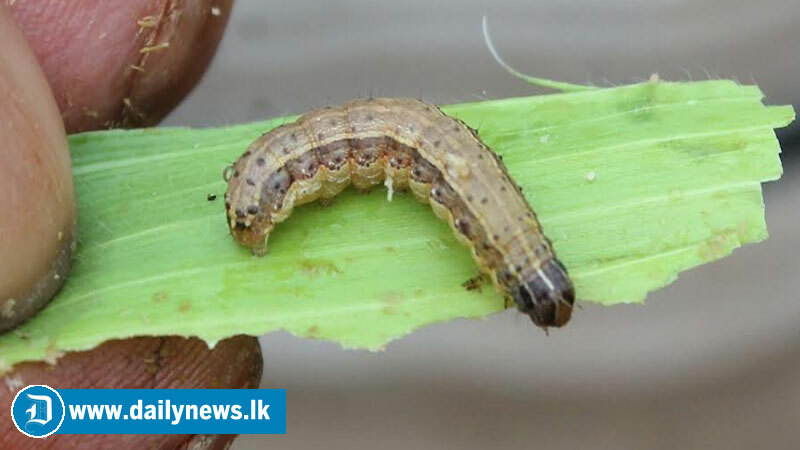 Native to the Americas, fall army worm (FAW) identified in Sri Lanka in 2018 and has rapidly spread to entire country,it infected close to 50 percent of maize cultivation in the country, extending to 82,000 hectares, if it effected to export oriented crops, we may face some problems to export other countries as well. By considering the damage caused by the FAW to the country university of Wayamba and Horizon campus dedicated their self-efforts to identify and give a rapid solution to the issue. According to them this self-limiting gene is the heart of this method of insect control. When male insects are released and reproduce with wild females, all of their offspring receive a copy of this gene. The self-limiting gene disrupts the proper functioning of their cells by flooding the insects’ cells with a protein to stop them from properly expressing other essential genes needed for development and preventing the offspring from surviving until adulthood.